Archangel Gabriel motivates you to polish your skills. Responsible for communication, Archangel Gabriel helps us to find our true calling, offering guidance and an understanding of your life’s purpose. Archangel Gabriel can help you restore any blocked areas in your life. Embodying purity Archangel Gabriel is the messenger angel. Responsible for communication Archangel Gabriel helps us to find our true calling, offering guidance and an understanding of your life’s purpose. 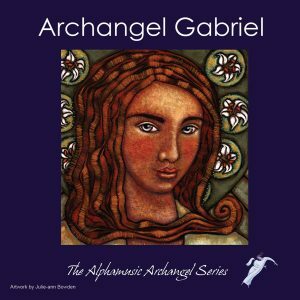 If there are changes ahead like a house move or major purchase, changing career or considering starting a family, or you are even struggling with finding any meaning to your life at all, Archangel Gabriel offers direction. Ask for guidance. Archangel Gabriel can bring messages to you just as she did to the Virgin Mary. Archangel Gabriel is also credited with inspiring Joan of Arc and for dictating the Koran to Mohamed. Contact Archangel Gabriel if your third eye is closed and your spiritual vision blocked, if you wish to receive angelic guidance regarding the direction you are going in, if you need help in interpreting your dreams and visions. Archangel Gabriel can be asked cleanse and purify which may need to be done to make way for necessary changes. Call on Archangel Gabriel if your body is full of toxins and needs purifying, if your emotions need clearing, if your thoughts are negative and need transforming, if you have been assaulted and feel dirty, if your home or work environment feels negative, if you have absorbed someone else’s problems. Archangel Gabriel is the angel of the west and governs the element of water. When I listen to this music in my home after tiring, working day, I can relax and drop into meditation. It helps me meditate better.